Artichoke is currently designing a large bespoke kitchen for a classical home near Chipping Norton in Oxfordshire, a county we are very familiar with. We have recently completed a major project for a Grade 1 listed country house near Burford and are about to start designing the principle kitchen for a large 17th Century manor house near Charlbury. 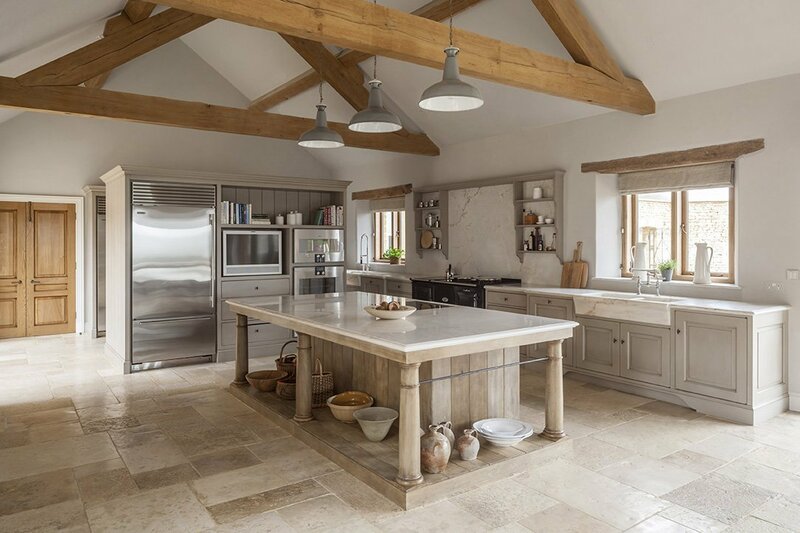 Oxfordshire is a particularly special county from Artichoke’s perspective and we have undertaken numerous country house kitchen projects across it over the last 25 years, including an Edwardian lodge near Banbury and a Grade II* manor house near Oxford. Our first major country house project was for an Edwardian country house in The Tews (near Great Tew), and we are still working for the same client in Oxfordshire. Clients commission Artichoke to design and make them a bespoke kitchen because of our reputation for delivering high quality design, cabinet-making, service and installation. Service and quality are two characteristics which are entwined throughout each key component of the business. Oxfordshire clients that commission us to design their kitchen can expect a very different approach to simply choosing from a pre-designed high street range. Every element of Artichoke’s service is bespoke, and every kitchen we have designed over the last 25 years is different. We have never made the same kitchen design twice. Our first goal is to gain a thorough understanding of the client and really understand their domestic arrangements. We will also question the architectural plans for the house and ask key questions about whether the architectural plans are suitable for how the client wants to live domestically. Only once we fully understand the client and their architecture do we feel comfortable designing them a bespoke kitchen. 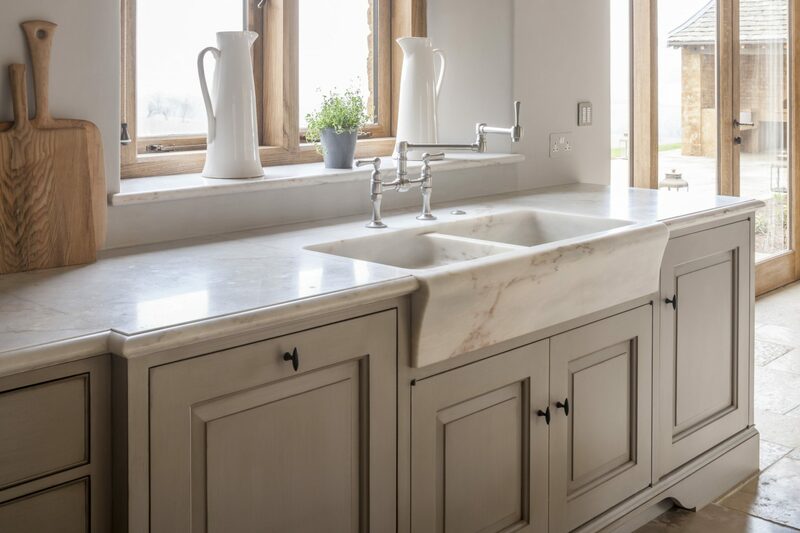 Artichoke has recently completed a kitchen for a newbuild house sited north of Chipping Norton in the Cotswold Hills in Oxfordshire. The kitchen was a particularly large space, which are often challenging to design into. The kitchen was to become the most important room in the home, providing space not only for cooking, but also eating, working and receiving guests. The aim of Artichoke’s kitchen design was to effortlessly combine these many different facets and transcend the purely utilitarian character of the kitchen. We paid a great deal of attention to certain aesthetics, such as the sinks (which were made from solid marble) and the kitchen island, which was the centerpiece of the room.